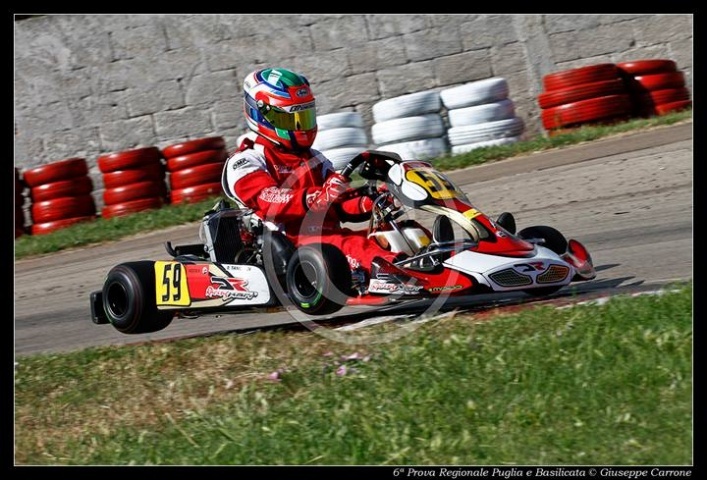 Another 1-2 for DR drivers in the fifth round of the Rotax Max Challenge Italia Series, South Area held at the Euro Kart circuit on 24 May. Again, Tancredi and Alex demolished the competition in Rotax Max, the senior category of the Austrian single-make series. Already in qualifying, Tancredi imposed himself with a fastest lap of 41"448, while Alex stopped the third time starting DR weekend on a high. Comes the final and Tancredi continued his winning streak in dominant fashion also stopping the fastest lap of the race, as Alex managed to grab 2nd place closing 2" behind his team-mate. With three rounds to go before the national final and a good lead in the championship, Tancredi is set for a positive second part of the season.